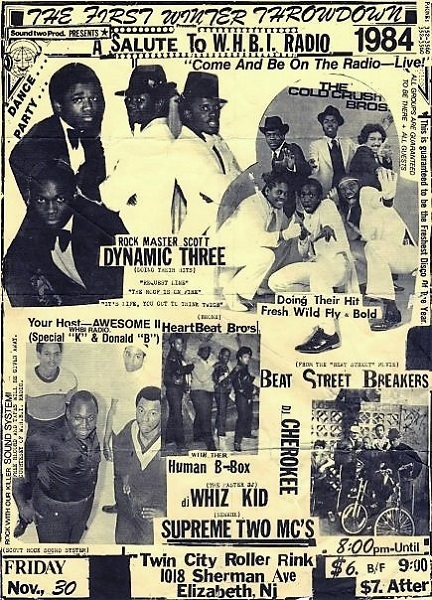 The Heartbeat Brothers were MC (Lord) Kool Gee aka Gregory Whitley, MC Ronnie Ron aka Ronnie Fladger and DJ Al Ski the Great aka Samad Ali. 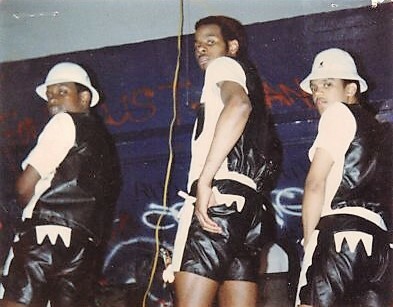 They grew up together in Mott Haven projects in the South Bronx and began the group while attending Elijah D. Clark Jr. High School. 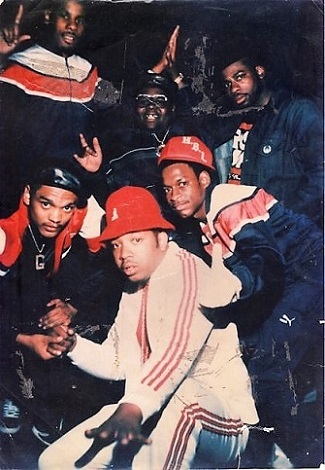 They would borrow equipment from Ronnie’s brother, Alvin Fladger aka DJ Al-C, which they would use to throw local jams at a place nicknamed “Under The Dome”, a partially enclosed sheltered spot behind the Mott Haven Community Centre. They also found success through local talent contests which, combined with the parties, gave them a name as one of the hot up-and-coming artists. 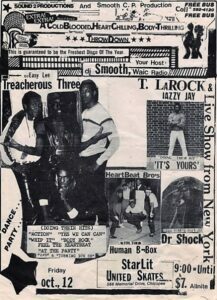 Following interest from several labels including Tommy Boy and Tuff City the group eventually signed a deal with Elite Records in 1985. 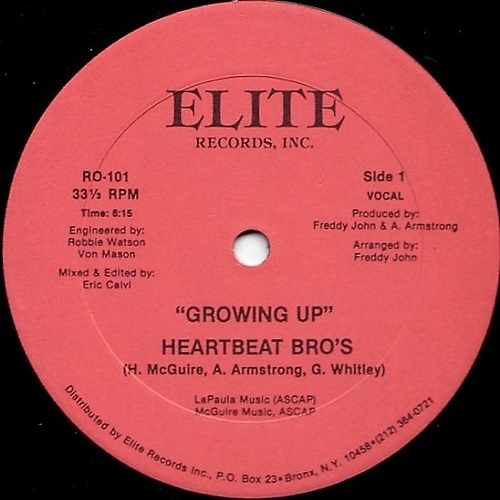 This was their debut release, “Growing Up” and was an idea from the group’s management team who wanted them to do a record aimed at the kids discovering and embracing rap music where their parents were totally against it. It was produced by the legendary Whiz Kid (R.I.P.). Special thanks to Gregory Whitley for the information and permission to use the pictures below. 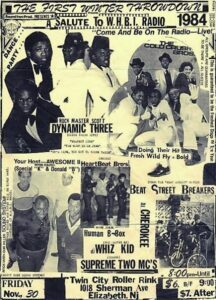 During the toddler years of hip hop there were outside parties and jams in the parks of the South Bronx. It didn’t matter if it was winter or summer nights we were looking forward to Friday & Saturday so we can see the Heartbeat Brothers perform in their fresh outfits. There was Kangos, leather pants, Addias & Puma sneakers, letters ironed on sweatshirts and chunk jewerly. Girls getting their hair and nails done to be under the dome at Mott Haven Center watching young rappers battling, beat boxing, and breakdancing. 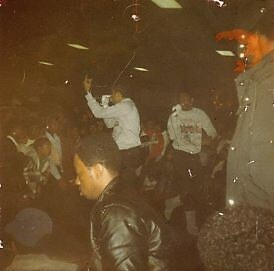 There were never small crowds, they were mini concerts interrupted by the police because of the loud music and the large crowds coming out to listen to the Brothers. The Brothers had a fan base that would travel with them to different events, housing projects, and surrounding areas to help support their rap game. These were the mid 80’s when we would cut class to play “hookie” from school. Most of the time, we ended up at someone’s house coupled up and listening to the Brothers practice their rhymes. 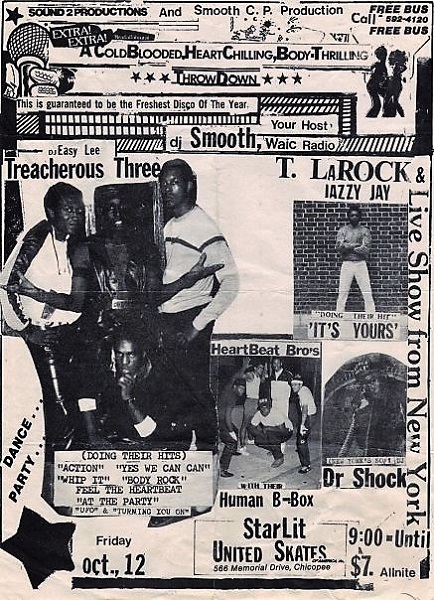 I can remember being behind the scenes of this admired rap group. 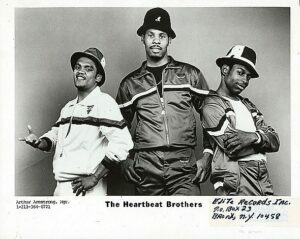 Being the “First Lady” of the Heartbeat Brothers I had the opportunity of watching their act come to form while Kool Gee and Ronnie Ron practiced their lyrics. Live in Elizabeth NJ, with the Awesome 2. Under ‘The Dome’ at the Mott Haven Community Center, South Bronx. 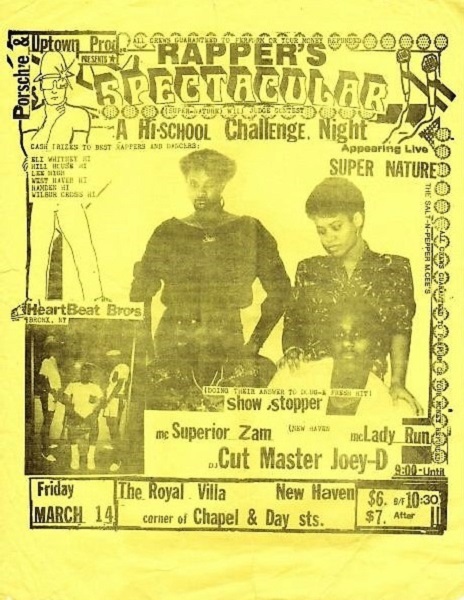 With Jam Master Jay (RIP), Buffy (RIP) and Run. I know “Heartbeat Brothers” personally for we grew up in the same neighbor, so to read this write up is as memorable as it is refreshing.